One of the hottest toys from Christmas 2010 were the Sing-a-Ma-Jigs. They made it onto our list of the Top 20 Hot Toys of 2010. My kids ended up with a few Sing-a-ma-jigs that they are still playing with around the house. Just in time for Valentine’s Day, there is a new Sing-a-ma-Jig. She’s red of course and sings the song “Let me call you Sweetheart”. 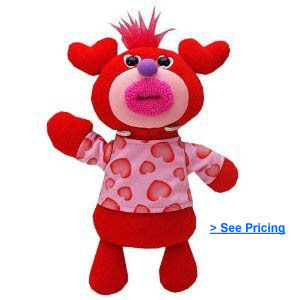 Whether this is your first Sing-a-ma-jig or if you want to add to your existing “collection”, for the price, you can’t go wrong with this cute toy for Valentine’s Day.